The corporate marketing demon has turned us into TRAFFIC MEDIA. Hootsuite being down this week proved something to me once again…we are just a bunch of freaking marketers. We are…and we want our coveted little Hootsuite to continue to be our traffic department. Yes…we freaked out when we could not schedule some tweets. Where the heck is this thing going? First of all, I quit using Hootsuite about a year ago especially when they began the process of charging a monthly premium for there online services. Yes, they wanted me us to pay a monthly fee if you wanted to manage multiple accounts. I have always been a TweetDeck fan, but Hootsuite was a great solution, especially in the corporate world. WIth all the company owned laptops and desktops, IT departments have been restricting company users to download and install programs like TweetDeck. Hootsuite was perfect since everything was web based. Now…I will admit that I did train people to understand how to use the scheduling option. I even schedule Tweets to go out on TweetDeck. But where have we gone…this social outlet is turning into a traffic outlet. For the past few weeks, I have reached out to people on Twitter and they normally respond. It took them a few days to say hello and some did not even reply. Why, they are freaking scheduling all of their tweets. The corporate marketing demon has possessed our souls. Who am I to blame…it is a brave new world and the audience lie in social outlets. Corporate marketers have moved lots of their dollars into the social ranks, investing in promoted tweets and hashtags and other places to spread the branded message. But…oh; but…it is no longer social media. This same model holds true in reality television. You mean to tell me that Big Brother and the Bachelor is true reality television. It is not capturing reality, it is creating the reality “it” wants audiences to perceive. The same holds true in the social space…it is no longer the social space, pushing the line away from center. I have noticed that many of the conversations I used to have on Twitter are now migrating to other spaces. I am seeing a shift away from spaces like Twitter for real engaged conversation. I have really locked down my Facebook page, only allowing certain people in that space. I am finding more and more conversations happening there. If I post a link that interests me…many of my online buddies are using those links as places to expand conversation into rich, thought provoking debate. This paradigm is allowing a conversation to flourish beyond the 140 characters. Twitter has become the mass media beast with lots of noise to sift through. It has become the new age outlet for our PR & Marketing Engines to share our branded messages. Their is a shift beginning and it will be interesting to see where those, who are truly socialites, will co-exist and engage in social, online discourse. 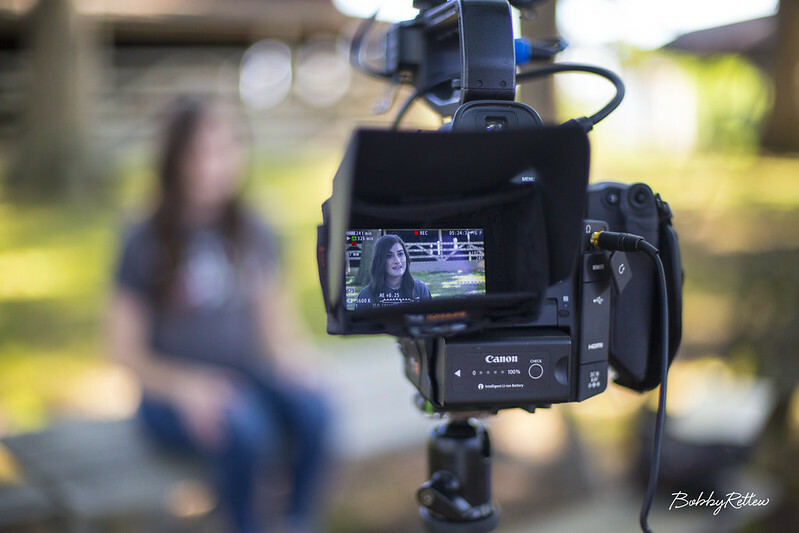 Using video is one of those mediums that can really enhance your social media presence and can add so much to your campaign. BUT, you gotta think through this little bag of tricks. If done incorrectly, this integrated marketing tool can make you look like a dummy! (I almost just typed a bad word). I am not going to talk about message development, that is a whole other ball of wax. I am going to talk about how using video online can help generate traffic, relationships, and enhance your SEO. First…create a series of short messages around a campaign, event, and idea. When I mean series, I mean more than 3 different video messages. These need to be targeted at a specific audience and a specific topic. This over-arching theme will bring these messages together. Second…have a home-base for these video messages. Whether it is a blog, a video section of your site, or the homepage; these video messages need a home so people can find them within one consistent place. Third…these video messages need to have a equal treatment in production quality as the message itself. If it is meant to be shaky and dark…your message better represent the reason why it is shaky and dark. But, be controlled in the delivery of the production quality. The person watching needs to understand your message, the production quality needs to enhance the message not detract. Fourth…create a channel on YouTube, Blip.tv, or Vimeo to host all of these video messages. Once the messages are created, upload them to these channel and spend time developing the title for each video, the description, and the tags/key words. I sometimes use the URL of the homebase for these messages in the title. Fifth…schedule a release of these messages. If you have produced 5 of these and you want to share all of them…maybe release them once a week. Use the embed code provided by YouTube, Blip.tv, or Vimeo and place them within the site. Once placed…tell the world! Sixth…tell the world that they are updated on your home-base. Use TweetDeck and/Hootsuite to regually tell the world that a new video has been updated. Use email marketing and even LinkedIn to tell your spheer of influence that is it live and people can go watch it. Ohh…when you tell them, use the URL where it is located at the home-base and shorten the URL using TweetDeck or Hootsuite. This will allow you to track the clicks. This works well in a blog where you have a specific URL for each blog post. Seventh…create a discussion around the video that was just updated. Get on your social networks and tell people about the video and ask their opinion about the content, create a discussion. Eighth…repeat this process. Olivier Blanchard (@thebrandbuilder) talks about consistency and frequency when using new media and social media combined. It is smart thinking. OK…I figured it out after chatting with the people from Hootsuite how to add the a Fan Page to Hootsuite.